2 years after the first iYoyo was released comes the iYoyo2! The aluminium iYoyo2 features the ever popular 'H' profile for maximum gap width and a comfortable feel in the hand, and comes pre-installed with a Narrow bearing for beginner players who want a responsive throw, but also comes complete with a spare axle and Konkave bearing for advanced play. Wanna know more? Read on below! 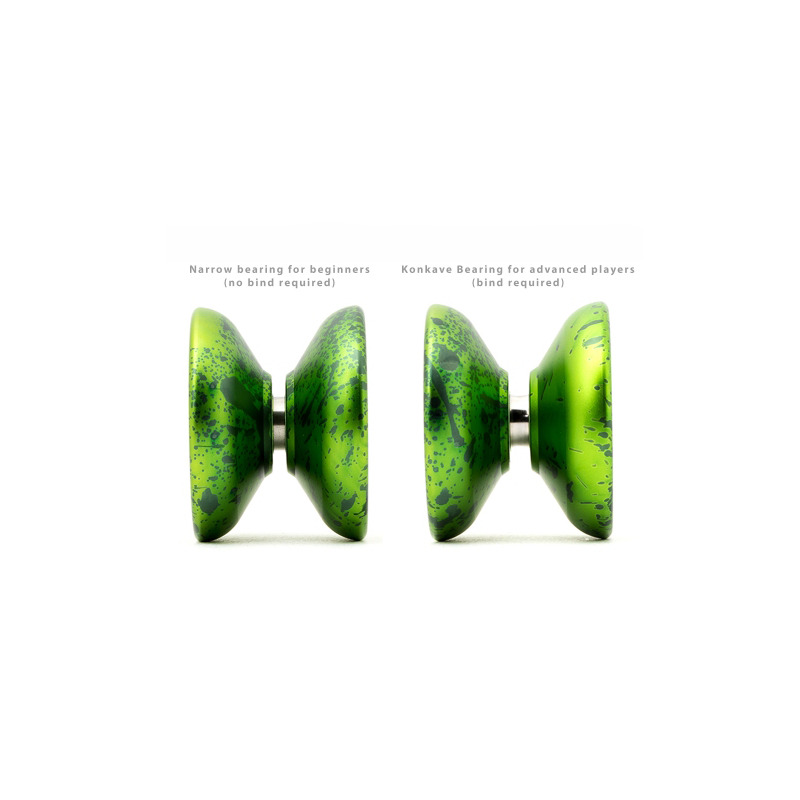 The iYoyo2 comes in 3 vibrant colours - Green/Black Acidwash, Blue/Silver Acidwash and Black, with an outstanding Sandblasted coating which not only looks brilliant but also grinds beautifully. The iYoyo2 also has fantastic weight distribution - allowing for both fast play, and also that 'floaty' feeling that every yo-yo player loves in a yo-yo. Even the packaging is unique! I can't recommend this yo-yo enough, so pick up yours while stocks last!